Australian conglomerate Wesfarmers (ASX:WES,OTC Pink:WFAFF) has officially put forth an unsolicited offer to acquire critical metals miner Lynas (ASX:LYC,OTC Pink:LYSDY). Shares of Lynas climbed by as much as 31.6 percent on Tuesday (March 26) following the announcement of the proposed takeover. “An investment in Lynas leverages our unique assets and capabilities, including in chemical processing, and will deliver Lynas’ shareholders with an attractive premium and certain cash return,” Wesfarmers Managing Director Rob Scott said in the announcement. Lynas is one of the only rare-earth-focused miners outside of China and has been in operation in Australia and Malaysia since 2011. Rare earth metals are extracted at the company’s Mount Weld mine in Western Australia. From there, the ore is moved to a concentration plant roughly 1.5 kilometers away from the mine site. The by-product is then shipped to the Lynas advanced materials plant, an integrated manufacturing facility for separating and processing rare earth materials near the port of Kuantan in Malaysia. It has been a challenging few months for Lynas. In October, the Malaysian government launched a review of company operations. In late November, the company announced it was temporarily halting production in Malaysia while it awaited an increase in its productions caps. Despite meeting the production cap totals in the 11th month of the year, Lynas’ output limits in the Asian nation reset in January 2019. 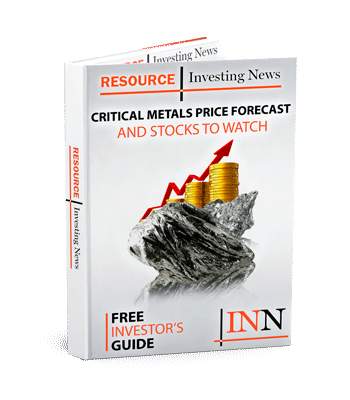 In early December, the Australian rare earth miner’s stock plummeted 26.89 percent in one day, after the Malaysian government implemented new regulations for the critical metals miner upon completing the review of the company’s materials plant. Lynas shares were up 28.83 percent on Tuesday (March 26), trading at AU$2.10.